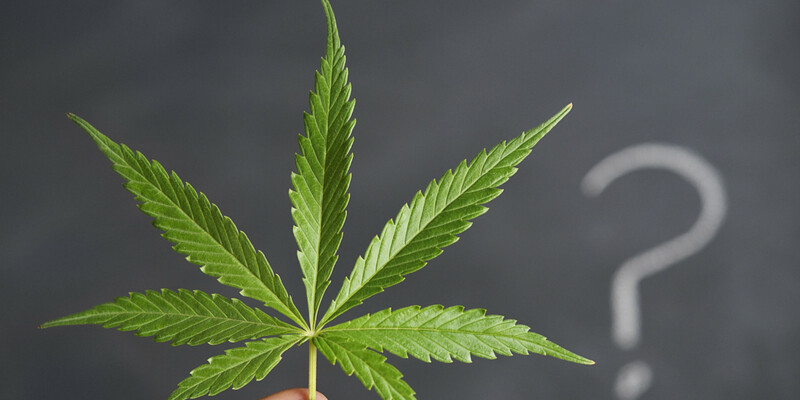 marijuana won’t have as dramatic, serious effects on your teeth as a drug like methamphetamines, it can still mean bad news for your oral health. Similar to smoking tobacco, regular marijuana smoking can cause gum disease and other dental health issues. For example, Tetrahydrocannibol (THC), the main ingredient in marijuana, is known to interfere with the process of calcium absorption. Healthy teeth need calcium to stay strong, and long-term use of marijuana can lead to decay or tooth loss. Other studies have shown that heavy marijuana use can more than triple the likelihood of gum disease, which as we know can lead to all kinds of medical problems like cardiovascular disease and diabetes. Marijuana’s harmful effects on the mouth include the risk of mouth cancer. The Missouri Division of Alcohol and Drug Abuse reports that marijuana has been found to have a higher concentration of cancer-producing ingredients than cigarettes. Pot smokers typically hold the smoke in the lungs and mouth for longer periods than cigarettes, increasing the effects on the mucus lining in the mouth and exposure to the cancer-causing agents. The tar found in marijuana has developed tumors on the skin of animals in laboratory tests. A report by the American Medical Student Association says that marijuana users tend to get sick more than those who don’t smoke pot. In addition to the lowered immune system and chemical poisons produced by the THC that linger in the mouth, marijuana users undergo personality changes that lead to poor hygiene and less attention to personal care. They lack energy and lose interest in everyday activities that once were important, including brushing their teeth, flossing and rinsing. The smoke from marijuana causes bad breath, and the lack of mouth care eventually produces additional problems for teeth and gums. MARIJUANA MYTHS: Does Smoking Cause Periodontal Disease or Tooth Decay? Well, the answer isn’t as straight forward as you might think. The truth is that it isn’t necessarily the marijuana that causes tooth decay or dental issues. It is one of the side effects of THC that can advance oral problems when combined with poor dental hygiene and a sugary diet. This happens because one of the most common side effects of using marijuana, is dry mouth, also commonly known as “cotton-mouth”. Having a dry mouth means that your production of saliva becomes limited, and saliva is very beneficial for keeping your teeth clean because it neutralizes bacteria and plaque that create an acid that attacks your teeth. THC also has a very beneficial side effect that increases the appetite . Though this is a beneficial side effect for many with medical maladies that create a decrease in appetite, it also has a down side, which is that it often creates the desire to consume sugary or high carbohydrate foods. Habitual marijuana users are also more likely to consume large quantities of sugary or fatty foods while not following up with proper oral care, which can also lead to cavities and periodontal disease. The risks for your dental health are simply not worth the temporary high.